It takes a little prodding from his younger brother before Sajid Amin modestly rattles off his class load. The North Thurston High School junior is currently taking four AP classes, including calculus and physics, symphonic band – the clarinet is his instrument of choice – and Spanish 103, which is the third course of a first-year college-level class. He’s also a member of the Rams’ marching band and is in the final stages of fulfilling the requirements to become an Eagle Scout. 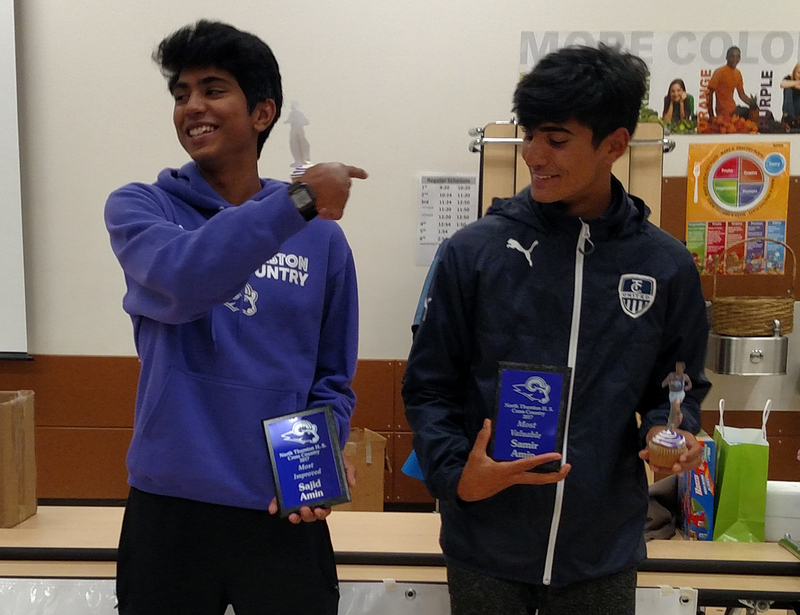 Sajid and Samir Amin were both honored at season’s end by the North Thurston cross country team. The brothers both competed at the Class 3A state meet. 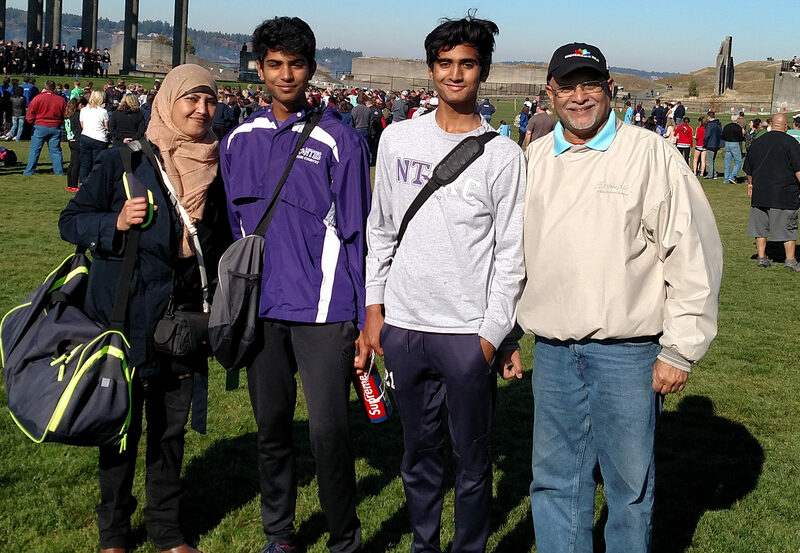 Sajid holds a 4.0 grade point average, as does his younger brother, Samir, a freshman at North Thurston whose slate is equally as full as his older sibling. One of these task on the list would seem daunting. Mix everything together and it’s downright overwhelming. “You just have to take it phase-by-phase,” said Sajid when asked how he’s able to juggle everything on his plate, adding that to be successful you can’t tackle the project in its entirety, but rather dedicate laser focus to each step along the way. It’s the same approach Sajid and Samir have while they run. The brothers also compete in cross country and track and field – as if their schedules weren’t packed enough already. 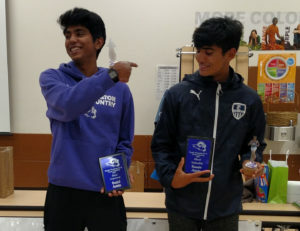 Sajid and Samir were the only members of the Rams’ cross country team to participate at last month’s state cross country meet, but that’s not to say they were alone in Pasco. 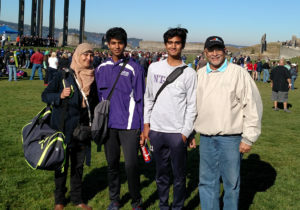 In addition to the North Thurston coaching staff, both boys’ and girls’ cross country teams, and a handful of other students, filed into three vans and made the trek over to Pasco to support the duo. 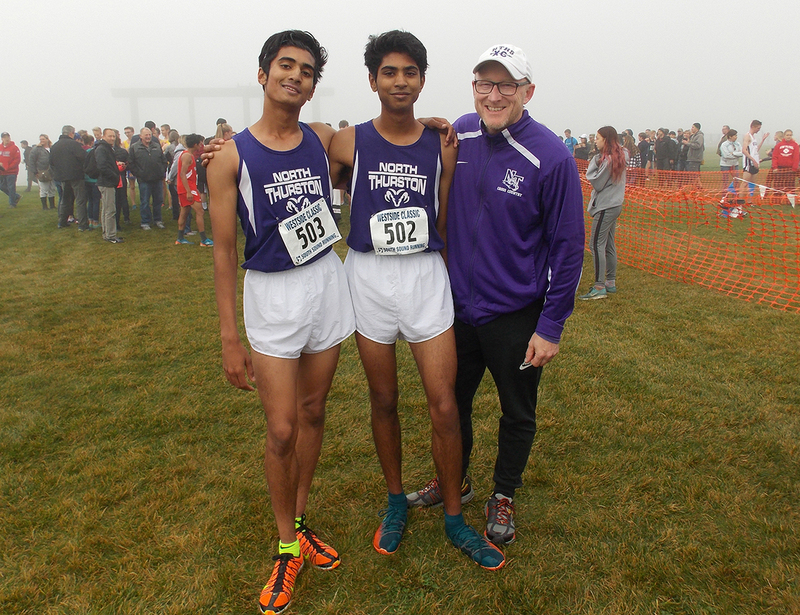 Sajid covered the near-3.1 mile distance in 17:00.4 in his state debut, while Samir stopped the clock in 16:45.8 – the fourth fastest time among freshmen runners in the 3A classification. Samir had a similar outlook. Samir duplicated the feat the following two years, leading him to the obvious. “I knew sprinting wasn’t the thing anymore,” Samir said. 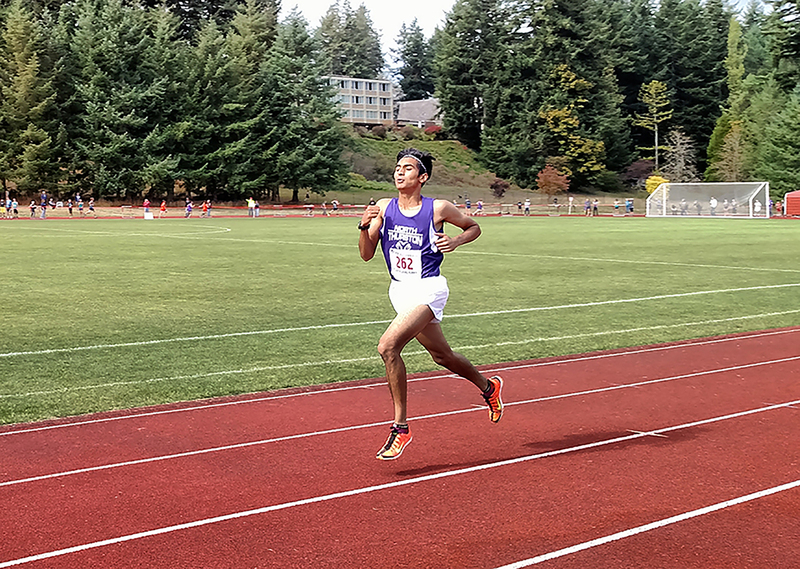 Self-described as the “last runner on the team” as a freshman, Sajid’s performance increased substantially with the arrival of his brother at North Thurston. State cross country qualifiers aren’t made during the season, but in June, July and August when most students are enjoying summer break. 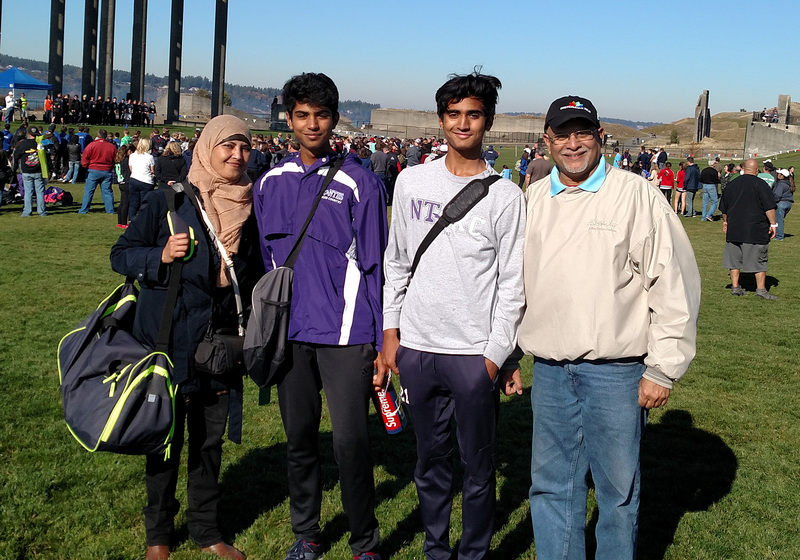 The Amin’s routine would consist of daily runs between 3 and 6 miles. In addition to their lofty classwork load, band and striving to become Eagle Scouts, the brothers will add track to their to-do list in the spring. Sajid plans to compete in the 1,600 and 3,200, while Samir will run the 800.